As I was studying and beginning my HR career in the mid-2000’s I got tired of the often used term “the war for talent.” As a slightly naïve and optimistic individual I didn’t want to describe anything as a war and it seemed to me that describing talent acquisition as a process that set up conflict between talent and the business was short sighted. In any case, the economic crash that began in 2008 quickly took care of that. But the Canadian market has seen a few years of slow and steady increases in business activity resulting in an increased demand for talent. So, while I’m not advocating a “war for talent”, I will suggest that Business Leaders as well as HR and talent acquisition professionals need to significantly up their game if they want to attract the talent necessary to achieve their goals. If you’re not mobile, you’re not in the game. When you consider demographics and the prevalence of mobile browsing in general, this stat is actually higher in certain segments. For instance, 53% of 18-to-29 year olds have used a smartphone as part of a job search. One reason for the lower than expected result in this survey? Company career sites just aren’t enabled for mobile browsing or applications. This forces applicants to track down a computer where they can confidentially apply or (increasingly) just move on to the next opportunity. As an employer if you’re still looking for talent with a particular degree from a certain university or demanding experience in a particular version of a software program, it’s past time to ask yourself why. When there were more job seekers than jobs it was easy to layer preferred criteria on top of firm requirements and still build a strong short-list of candidates. While that may still be the case in some sectors, the tide is turning. More importantly, this approach discourages diversity and innovation. Solution-focused candidates often bow out, left with the impression that you favour process over results. I’m not advocating that you eliminate requirements completely. Focus on what those requirements demonstrate. Are you looking for evidence of specific results, behaviours or motivation? Then frame it that way and look for the candidates that can demonstrate those abilities. Business Leaders need to own talent acquisition. This one will be uncomfortable for both HR and the Business equally. Business Leaders need to take greater responsibility for talent acquisition. To emphasize this point further, in The Talent Company’s recent Talent Acquisition Practices Study only 5% of companies surveyed responded that the Business/Hiring Managers owned talent acquisition. I think that most companies recognize that Hiring Managers need to make individual hiring decisions, with the support of HR, talent acquisition and peers. But Business Leaders also need to be more involved in other talent acquisition activities such as employment branding, acting as an ambassador for the organization and building proactive pipelines of talent. In return, as a true business partner, HR and talent acquisition teams must be accountable for enterprise-wide talent acquisition strategy (formulated to align to business strategy) as well as advising, facilitating, training and coaching Business Leaders on effective talent acquisition behaviours. Talent acquisition has always been a top priority for HR. But with current market trends, and the reality of lean teams, HR and talent acquisition professionals have to be strategic in their focus and where they invest their resources. The three trends that we’ve identified here are becoming increasingly critical and, in our opinion, are past due. The Talent Company works with organizations every day to help them optimize talent acquisition. Through our consulting work, research and networking we can see that greater progress is still required so that talent acquisition practices can meet the demands of the business. So, as we prepare for the new year, I challenge you: What are you doing as an HR or talent acquisition professional to create true business partnerships and to ensure that your organization is attracting the talent it needs to meet your goals? Kathleen Jinkerson is the Director of HR & Talent Solutions with The Talent Company, a human resources consulting firm that works closely with clients to develop, optimize and innovate their Talent practices. Kathleen possesses more than 10 years of experience in partnering with organizations to help them build their talent capacity as well as their HR and leadership teams. I predict that 2016 will continue to be a period of change and transformation for Human Resources functions. This is true across organizations of all sizes, industries and business models. I have been an HR and Talent professional for over 20 years; during this time I have worked with some of the top organizations around the globe, across many different industries. I can confidently say that 2015 has been one of the busiest years for all of our four Advisory Practices (HR, Leadership Development, Recruitment, and Total Rewards) since our inception 8 years ago. Organizations are continuing to come out of the economic slowdown. We are finding that with many of our clients their business’s expectations of their Human Resources team has increased and evolved. Whether HR likes it or not, the “bar” is set higher now for HR to meet the business’s expectations within their organizations. The current reality within most organizations is that HR is still struggling for additional headcount to be allocated to their function to meet the increased demands from the business. Unfortunately, the business isn’t interested in hearing how HR is stretched so thin these days, with limited resources, and their demands are only going to grow in the years ahead. HR needs to ensure their function is fully optimized, not just in terms of resourcing but also in skills and competencies. So as an HR professional, focus on what the business needs versus what you think they should want. Prioritize HR’s focus for 2016. Don’t try and boil the ocean………select the critical initiatives that will have the greatest positive impact on the business and focus on them. Don’t try and tackle everything at once, have a plan for 2016 and ensure the business is in complete alignment with the plan. For the plan to succeed, the business needs to buy-in to the “why” of the plan and be surrounded by effective business partners who execute the plan alongside the business. For HR to step up to meet the business needs in 2016, this is an opportunity for HR to re-engage itself with the business and develop their HR resources to be more effective as true Business Partners in their roles regardless of their specialization within the HR function. It shouldn’t matter if your HR resources are specialists or generalists, if they are managers or coordinators, if they are in Total Rewards or in Recruitment or Talent. Every role within an HR function should be focused as a Business Partner in the way they work. I partner with a number of Colleges and Universities across North America on improving the content in their Human Resources program curriculum geared towards educating students of HR. Unfortunately very few of the HR programs I have encountered had any content geared towards teaching students of HR on being an effective business partner. Most of the programs are geared towards learning the various specialty areas of focus within Human Resources but very little on the desired behaviours of a great HR business partner. The most successful HR professionals are effective business partners and if we want to elevate the function to the next level, we need to ensure all HR professionals are focused on being a true partner to the business. Understand how your organization makes money. Understand the barriers the business faces when it comes to making more money in your organization. Listen and translate the business’s needs directly for your area of focus. Understand the part your role plays in reducing these barriers allowing the business to make more money. Business Partners focus on long-term relationship building rather than a specific transaction or project. Always be focused on the outcome – not simply the process. Don’t be a barrier, be an enabler. Enable your business to be successful. Be a Business Partner who works with the business on improving their effectiveness and being successful. Great Business Partners are always prepared. Be prepared to ask smart questions. Be prepared to challenge assumptions. Be prepared to apply your judgement. The business is buying your judgement, not just your time. Business Partners know how to read the “mood” of the business. “Trust” is the most critical aspect in the relationship you have with the business. 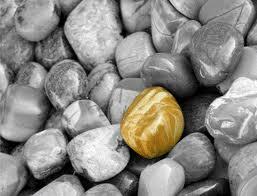 Being known for your integrity is the most important factor in being a successful Business Partner. Be an expert – recognize you are your organization’s expert in your HR area of focus. Invest in your own development to enhance your own expertise – know the market trends, what your competition and other industry leaders are doing within your HR area of focus. Network, network and network. It’s the best way to learn how trending practices are being successfully implemented. Business Partners always provide their customers with Value – your relationship with the business is never more stable than when your business trusts you completely to take care of them. Be accessible. A good Business Partner’s voice is comforting. They are easy to find. They promptly return calls and emails with a sense of urgency. Set realistic expectations with the business – don’t be all talk with no action. The business hates unhappy surprises much more than timely bad news – don’t be afraid to be honest with the business. The business is NOT always right – don’t agree with the business just because they are your client. Always remember you are an expert within your role and the business needs to hear your message even if it won’t be popular. Each of these steps are simple to state but actually pretty tough to successfully execute. The Talent Company provides a number of development and training programs for corporate HR teams including a program specifically focused on HR professionals becoming more effective business partners. We work with organizations every day to help them prepare their HR, Talent, Recruitment and Total Rewards functions to be more effective in meeting the demands of their businesses. As an HR, Recruitment, Talent or Total Rewards professional, what are you doing to become a more effective Business Partner in 2016? Every organization reaches a point where its ability to attract new talent demands a new, creative approach. The old way simply doesn’t cut it anymore, and hiring managers grow impatient. So where does one find new inspiration? Acquiring talent is undeniably similar to marketing. In marketing, as in finding talent, customers (and candidates) must be engaged, convinced and nurtured before a sale (or hire) is completed. Create a positive experience every time. Some of the largest organizations in the world spend millions of dollars to ensure that customer touch points are positive – which, ultimately, improves the customer experience and drives up revenue. The same principle can be applied to the candidate interview experience. The consequences of a poor interview experience last far beyond the interview itself, as colleagues, friends and family surely come to know about it. It’s key for organizations to ensure that every candidate interaction is positive. Use job posting titles to engage. A job title is an opportunity to stand out and engage talent. How can any recruiter expect to engage quality talent with a title as unoriginal as Network Administrator? Organizations should use this opportunity (or “copy space” as marketers refer to it) to educate candidates on what makes the organization unique and sets it apart. For example World Class International Organization in Search of Network Infrastructure Star is sure to get much more positive attention – not to mention clicks and inquiries. Leverage other channels. Attracting talent these days is so competitive, that in many organizations opportunities remain unfilled for months. However, with the volume of tools and people available, there’s no reason for this! I have over 1,000 connections on LinkedIn, who, in turn, connect me to nearly 1,600,000 people (via extended networks). That’s a lot of extra people to help put an opportunity in front of the right candidate. Don’t forget to engage your extended network and ask for help to spread the word! A word of caution however: reciprocity is key. You, too, must be willing to share opportunities when asked. Another channel to consider is recruitment vendors. They’re an extension of an organization. Just remember that to ensure that they have the right collateral and share appropriate messaging on your organizations behalf. Create content worth sharing. Content (such as a job description) should do more than just communicate job details. Rather, it can be used to establish brand, convey key differentiators, and elevate an organization as a leading employer – provided, of course, that the content is worth sharing. If so, then one of the most potent and inexpensive ways to spread the word is through social media; especially now that integrated communication features such as Share, Like, Re-Tweet and Pin It make it effortless for people to share compelling content. Repeat and schedule updates. Another great social media feature is the ability to strategically position content in front of a target market when they’re most likely to read it. Many social media aggregators make it easy to schedule and repeatedly distribute content. It’s like running a 30-second commercial during the Super Bowl because the content is distributed to a targeted and engaged audience. And best of all, it’s free! Build and foster communities. A well-developed community engages people and allows them to remain connected to an organization’s brand. Communities come in different forms and sizes, including simple LinkedIn groups and Facebook pages, to comprehensive alumni programs that provide key market updates, attract new talent, and foster new business leads. A well-maintained community builds brand awareness, creates interest, and can be a fantastic source for new and engaged candidates. Conduct market research. Prior to entering a new market or launching a new product, organizations conduct research to understand market influences, identify obstacles to success, and discover how to best position their product or service. Talent attraction can certainly follow that lead. It amazes me how often talent is described as “one of the top two most important assets for an organization,” and yet it’s rarely given the same resources and budget as a marketing strategy. Market research enables organizations to gain insights on what influences and motivates top talent to consider new career opportunities. While each of the themes above are beneficial, frankly, the only way to measurably take recruiting to the next level is to embed the principles of marketing within every aspect of an organization’s talent attraction strategy. This includes identifying, engaging, nurturing, and onboarding talent. This is a valid concern and common challenge. To find an answer, I consulted a number of marketing leaders within my network. All of their feedback boiled down to this: talent attraction functions must do their homework, build a business case, and convince leadership that it is a worthy investment for additional marketing resources and budget. In addition, organizations are wise to socialize what they want to achieve by seeking the advice of marketing leaders – because they likely know how, and how not, to proceed. At the same time, bringing marketing leaders into the conversation helps build early consensus and support, which is typically a deciding factor to the executive who will (or won’t) be releasing the additional budget. As the global economy continues to improve, the fight for talent will grow with intensity. It will be a difficult challenge for many companies. Traditional methods of attracting talent are becoming less useful, and so the need for a different approach is growing. And on a humanistic level, how we interact has also evolved as social media empowers the average person to become more collaborative, bold and influential as opinions are voiced live and with a global reach. One poor interview experience with a candidate, and hundreds — if not thousands — will know about it in a matter of days (sometimes hours). What this also means is that the close alignment between marketing and talent attraction needs to be more prevalent – and not just to avoid negative candidate feedback, but as a means to better understand and engage hard-to-find talent tactically and strategically. My opinion is that we hit an inflexion point a while ago, and that talent attraction’s next frontier is clearly a partnership with marketing. Joe Minaudo is the leader of the Recruitment Strategy and Transformation practice with The Talent Company (www.thetalent.co), a human resources consulting firm that works closely with clients to develop, optimize and innovate their HR, Recruitment and Talent practices. Joe possesses more than 15 years of recruitment, talent management and workforce planning experience. He has lead recruitment and workforce planning functions for both international and global Big 4 consulting firms. Joe can be found at the following social tools LinkedIn and Twitter. First of all, what is Talent Optimization? I get asked this question often and usually by individuals who confuse it with the function of talent development or talent management within their organization. My definition of Talent Optimization is simply the alignment between the business strategy and the plan for your most important organizational asset, your talent. Start with your business strategy and assess its impacts on your talent needs. The business strategy needs to be at the core of talent optimization. The business strategy has to drive the desired organization talent outcomes. Every talent initiative your organization develops, sponsors and participates in must be steered directly from where the business wants to go. Without this alignment back to your business strategy your organization is simply wasting its time, efforts and money for initiatives that aren’t supporting what is important to your organization’s success. So many companies have invested heavily in talent focused programs and initiatives over the years which look great…..but many times when I ask them why the created the program they aren’t able to align the purpose of their high visibility programs back to the business strategy. Simply put, these companies have spent lots of money on “window dressings” and failed to focus their investments into ones that will shape their organization’s talent to where it needs to go. Assess your current talent to effectively understand current skills and capabilities. Similar to analyzing the value of an organization’s asset, understanding your organization’s own talent and their capabilities is another critical factor within talent optimization. Companies need to properly gauge their own talent’s skills, abilities, and limitations to effectively understand the gaps between their current talent and the desired skills and abilities needed to successfully achieve their business strategy and goals. Very few companies are able to do this successfully. Most companies understand the skills and competencies needed within each role but fail to understand the full capabilities and experiences of the talent working within that role. Companies recruit and hire simply to fill their roles and fail to recognize the other skills, abilities and experiences of the new hire beyond the requirements the role. There are so many great tools and technologies available for organizations to gain a better understanding of their talent which is essential to building an effective organization talent strategy and plan. 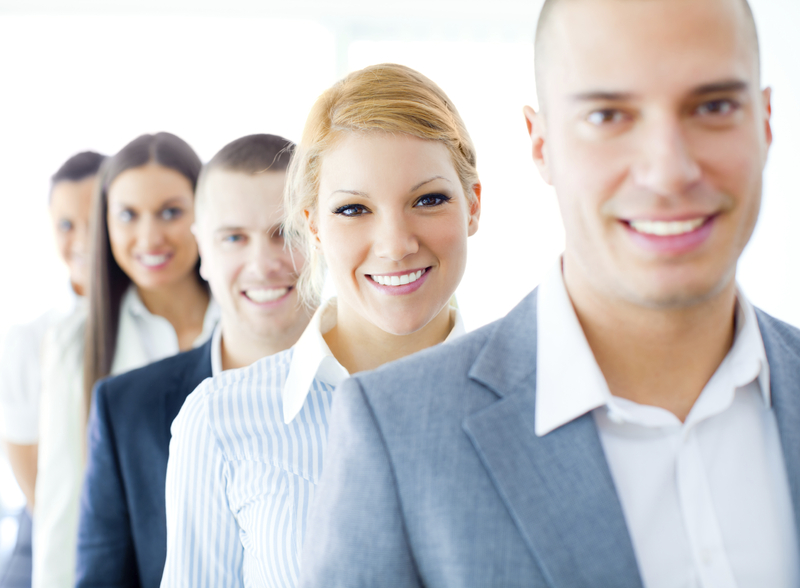 Move, develop and recruit talent successfully to meet the organizational needs and goals. An organization’s ability to effectively move, develop and recruit talent is the third critical factor for an organization to optimize talent. Companies must be self-aware and understand their true capabilities within talent management, talent development and talent acquisition. An organization who isn’t effective in managing and developing their own talent will need to rely more on hiring new talent to fulfill the requirements of the business strategy. The organization must understand the limitations of their talent function and make the appropriate decision to either invest quickly in resolving their functional deficiencies or work around them. Talent optimization starts at the top of the organization and shouldn’t be just another HR exercise which the executive team and the rest of the organization isn’t fully supporting. Talent optimization is an organizational function – not just an HR function. The next year will continue to be a period of change and transformation for Human Resources functions across North America. I have been an HR and Talent professional for over 20 years working with some of the top organizations around the globe. This year has been one of the busiest years for our Recruitment and Talent Advisory Practice since our inception 7 years ago – and one of the top 3 reasons our clients have called us over the past year has been to help organizations prepare for the change in the labour market. The market is quickly changing from “an easier to recruit in” employer centric market where the supply of strong talent has easily outnumbered the demand for talent. 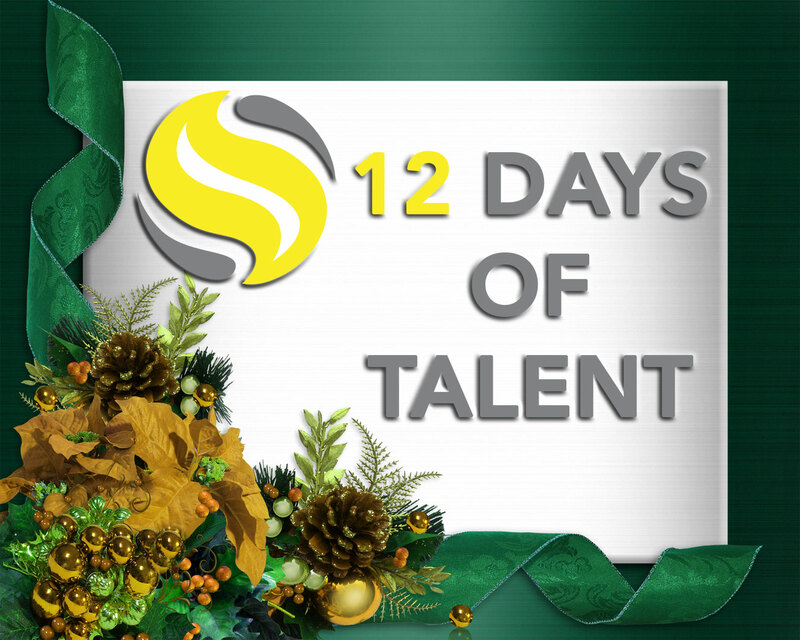 In 2015 the demand for talent will quickly overtake the supply of strong talent for the first time in the past 7 years. Unemployment rates will continue to drop to pre-2007 numbers and the strong talent every organization seeks for their critical roles will be tougher to find. The smart organizations have been preparing for this change in the labour market over the past year, investing appropriately in their talent management and acquisition functions and practices. They understand the HR challenges ahead for their organizations and have ensured their functions are positioned in the best direction. Retention of your top talent – organizations across the continent are back in growth and will be more aggressive in the recruitment of your top talent to their organizations. Retention of your top recruiters – often an overlooked area of focus but anyone who has heard me speak at a conference knows my view that only 20% of corporate recruiters are good and the first step in recruiting top talent to an organization is to hire great recruiters. So do whatever you can to hold onto the great recruiters you have. Timeliness of your hiring decisions – over the past 7 years, organizations have increased the time they took in interviewing and making their hiring decisions. Unfortunately those organizations will lose the “good-to-great candidates” in their process to other organizations who are quicker to make their hiring decisions. Managing a candidate’s multiple offers and counter offers – with most organizations focused on hiring in 2015, don’t be surprised that the “good-to-great candidates” you make offers to will have the luxury of weighing your offer to at least one other organization’s offer to them – so you better put your best offer forward and not wait to try and negotiate with a candidate as you will lose them to another organization. Or just as tough a scenario will be the candidate’s current organization doing everything possible to prevent the talent from leaving and presenting them with a counter offer. We work with organizations every day to help them prepare their recruitment practices to be effective (and more efficient) in meeting the demands of the changing labour markets. As an HR professional, what are you doing to prepare your organization? Are HR & CEO’s Headed For A Showdown? There is definitely a showdown coming. In fact, it may have already arrived. A recent Universum study stated that the “schism within organizations around issues of talent attraction, employer branding and retention have simmered for more than a decade.” In response China Gorman, CEO of the Great Places to Work Institute, wrote on Tuesday that she believes that a massive showdown is coming between HR and CEOs. While I obviously share her belief that the showdown is coming, I don’t agree that HR will be on the losing side. Call me an optimist but I’m not the only one. In The Talent Company’s HR Pulse study we surveyed human resources professionals globally on the state of HR. The results of this study show that HR’s mood is positive; more than 50% of our respondents indicated that their HR team has improved in the last year. Let’s look closer at the current state of talent. In their annual CEO survey PwC revealed that 63% of CEO’s are concerned about talent shortages and the availability of key skills. They’re right to be worried. Study after study has identified talent as a significant gap. For instance, in our recent Pulse on Leadership study, The Talent Company surveyed HR and Business Leaders and fully 54% of our respondents gave their organization a failing grade on identifying current and future leaders. Furthermore, 78% of respondents said that HR needs to be more proactive in partnering with business leadership to develop talent programs. Why is HR failing at their mandate? The Conference Board says the reasons are varied but attributes it primarily to human resources still being viewed as a support function, administrative overload, HR’s inability to invest in long-term strategic planning and a lack of critical business skills (such as data-driven analysis or forecasting) on the part of HR leaders. So, you may ask why we’re feeling positive. Again, looking at our HR Pulse results we can see that in the last year HR effectiveness has improved due to process improvements and efficiencies, companies adding key HR expertise to support their growth agenda and better alignment between HR programs and business needs. HR is finally getting a seat at the table as a strategic partner. The Society for Human Resources Management conducted a survey that indicates that “more than six out of ten HR professionals agreed that their head of HR was strongly involved in business decisions at the board level”. Now that we have a seat at the table we need to be less concerned with keeping that seat and focus on being able to influence the talent agenda. While the PwC global CEO survey reported that 93% of CEOs know they need to change their strategy to attract and retain talent, 61% of respondents admit they have not done so yet. The time to act is now. Make the next year a period of change and transformation for your Human Resources and Talent functions. First, ensure you are able to deliver on your core mandate. Continue to identify process improvements and use technology in smart ways to optimize transactional functions. More importantly, make sure that you retain your key Human Resources professionals. Once the right team and tools are in place, your Human Resources team members can become true HR Business Partners who can deliver services in a consultative, forward thinking and innovative way. Provide Credible people leadership to the company, with an emphasis on the human versus the capital side of human capital. Build a Collaborative company culture. Leverage the uniqueness of the company Culture. Doing what is right for the company. Influence appropriate Change management at the organizational level. Know what Customers want from the business. In summary, our HR Pulse results revealed that HR’s top three priorities for the next year are talent and leadership development, talent acquisition and a focus on employee engagement. Focusing on these priorities will help ensure HR are successfully contributing to company growth and profitability. Kathleen Jinkerson is the Director of HR & Talent Solutions with The Talent Company, a human resources consulting firm that works closely with clients to develop, optimize and innovate their Talent practices. Kathleen possesses almost 10 years of experience in partnering with organizations to help them build their talent capacity as well as their HR and leadership teams. Kathleen is very active on both LinkedIn and Twitter. Organizations face challenges when it comes to both the capacity and capabilities of their internal HR team. Many organizations hire HR consultants or firms to complement the skills and resourcing of their HR team. Hiring an HR consultant is a significant decision and investment for your organization and not just in terms of money. A great consultant will provide your organization with greater effectiveness and efficiencies ……and let’s face it, they will make you look good with making the decision to hire them. Unfortunately in today’s market, there are more poor HR consultants than great ones. Organizations need to do the proper due diligence when hiring an HR consultant or firm. 1 – A strong track record of success as an HR consultant – They know what they are doing and have been successful with other similar projects for previous clients. Be careful you don’t choose an HR consultant whose preference isn’t to be a consultant. I know many consultants who would rather be in a permanent opportunity back in the corporate world and are simply doing consulting until the right opportunity comes along. With these cases, they will start the project but as soon as a better opportunity comes along they will leave you and the project short-handed. Always go with the consultant who chose to be a consultant and has a passion for this choice of work style. Key Question to Ask – Tell me about the similar projects you have worked on previously? Why did you become an HR consultant? Tell me about a project you weren’t successful in delivering? 2 – A strong track record of success as a corporate HR leader – What was their experience prior to becoming a consultant. Do they understand the corporate and organizational dynamics you and your team live with every day and the pressures you face in terms of the project deliverables versus the realities of the capacity and capabilities of their team. Have they “walked a mile in their client’s shoes”? Key Question to Ask – Tell me about your experience before you become a consultant? 3 – Ensure they provide previous client project references with whom you are encouraged to contact…..and you should contact their references – The proof is always in the pudding! Ensure you do your due diligence on the HR consultant and/or firm on their track record. This should be a deal breaker if they aren’t able to provide at least 3 project references with contact information for the actual stakeholders in the project. Invest the time to connect with their references and that they provide you with the complete picture of the consultant’s work and their project outcome and results. Key Question to Ask – Will you provide me with a list of your client references from your past projects for me to contact? 4 – Expertise in a specific core area of HR – I’ve never met an HR consultant who is an expert in all aspects of Human Resources. Every consultant has their core areas of focus and that is their sweet spot. Hiring a Labour Relations expert to develop an organizational Total Rewards strategy doesn’t make a lot of sense…..definitely would make sense to hire a Total Rewards expert. I am a big believer in surrounding myself with experts from the critical functional areas I need – hence the range of expertise of the consultants at my firm….we are all experts within a specific area of HR and our clients benefit from the best of the best (sorry for the shameless plug J) Bottom line, ensure the consultant you are looking to hire is not a “jack of all, master of none” when it comes to their core area of expertise. Key Question to Ask – What area of HR is your core expertise in? What makes you an expert in this area? What do you recommend I do if I need expertise in another area of HR for this project? 5 – Connected in the market on the latest trends and best practices – You want a consultant who understands the latest in trends, practices and developments within their area of expertise. You want a consultant who knows what works and doesn’t work for organizations similar in nature to yours. A great consultant will use multiple platforms (such as their networks, publications, etc.) to keep themselves educated on what’s hot in the market. Watch out for consultants have been consulting for so long without keeping up-to-date on the current practices in the market…..they are selling you a solution that is already outdated and won’t be successful with your organization. Key Question to Ask – How do you keep on top of the latest trends and developments within your area of expertise? What are the latest trends and developments that will be considered as you deliver this solution for my organization? 6 – Integrity & Trust – These are the foundational values of the person and their firm that you need to be certain of when hiring a consultant. You are hiring a consultant to tell you the truth about a specific aspect of organization and function. If you don’t feel you can trust the consultant, don’t work with them. Ensure you ask their project references about their level of trust with the consultant. Key Question to Ask – Give me an example of a time that tells me about your level of integrity when working on a project for a client? 7 – Someone you and your colleagues want to work with – You want to work with a consultant you will enjoy working with. You enjoy them as a person when you meet with them. They are professional and have a pleasant personality…..and they don’t come across as a “used car sales person” type when you meet them. They act as a trusted advisor to you…….and you never hesitate to pick up the phone to ask them a question or get advice. You want a consultant who will work well with your colleagues – both in HR and in the business. Remember, if part of their mandate on the project is to work with the business, they are representing you and you shouldn’t have to worry about how they will interact with your colleagues in the business. Key Question to Ask –What is your approach to building successful relationships with the stakeholders on a project? 8 – Commitment to the project – Successful consultants will always be in demand with organizations. You need to ensure your consultant won’t be spread too thin with too many other projects at the same time as your project or that they will delegate your project to a junior member of their team who will do all the work on the project. You need to ensure you set expectations up front with the consultant in terms of their time commitments with your project and ensuring the project will be successfully completed within the agreed upon timelines. Key Question to Ask – Who will be doing the work on my project from your organization? How many other projects and clients are you currently working with? How will you ensure my project is completed within the agreed upon timelines? 9 – Provides a project plan – A project plan is the foundation to any successful project. A project plan not only defines the scope and steps to deliver the project, but also provides a breakdown to the stakeholders on the key project milestones, how to minimize the risk with the project while recognizing the importance of delivering on time, communication touch points and project updates. The project plan is the true agreement between the consultant and your organization on the scope of their role, the deliverables and the cost. The project plan also protects the consultant from project “scope creep” and being asked to deliver services and solutions that aren’t part of the agreed on scope. Beware of any consultant who doesn’t develop a project plan with their client. Key Question to Ask – As part of your proposal, will you provide an example of your project plan? Tell me about what typically goes into your project plan for this type of assignment? 10 – Provides practical customized solutions for your organization – Many consultants try to simply re-purpose their past work for new clients providing an “off-the-shelf” solution for your organization that likely won’t work. You want a consultant who invests the time to understand your workplace, culture and environment and will provide real solutions with a step-by-step blueprint on the “how to”……..not simply presenting a high level model and leaving it up to you to figure out how to execute and implement. Look for consultant who are realists and aren’t trying to sell you a “pie in the sky” solution they say will solve all of your problems. Key Question to Ask – Tell me about your approach to this project? We are a unique organization, how will you ensure your solution is practical for us? Markham, Ontario, Canada – January 8, 2015 – The Talent Company, a management consulting firm specializing in human resources solutions announces the results of its most recent study – Pulse on Leadership. 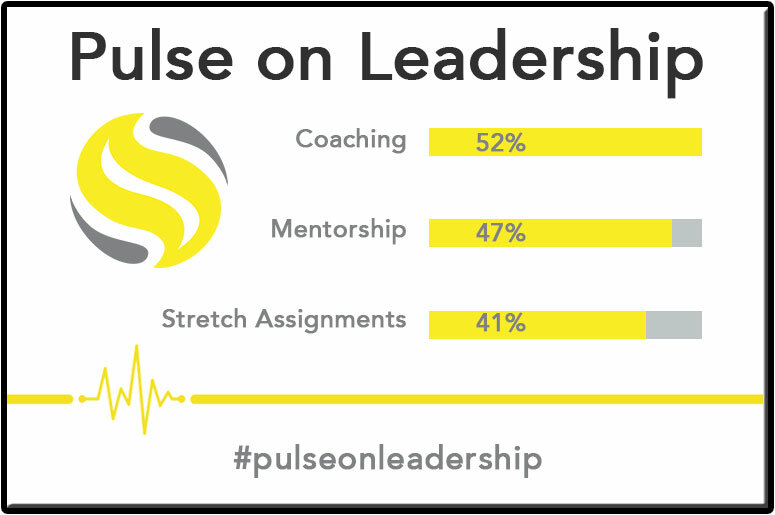 The Talent Company launched the Pulse on Leadership study as a follow up to a recurring, yet important theme found in last year’s study HR Pulse. “Although it wasn’t a surprise to see the topic of leadership come up as being important to so many of our survey participants, it was very interesting to see how so many viewed it as the primary gap within their organization.” says Simon Parkin, Managing Partner at The Talent Company. “We knew with our newest Pulse on Leadership study this had to be explored further. I’m proud to say that our team has uncovered very compelling data which we’re excited to share with leaders and HR communities around the world”. Obstacles organizations face in developing an effective leadership development program. The top leadership traits when comparing female versus male leaders. Thank you to Simon Parkin, Joe Minaudo and Gord MacDonald for sharing their insights in to HR trends, best practices and priorities. I think we can all agree that we have some good work to do in 2015. Can we also all agree to have fun in 2015? I know that HR is called upon to address complex and sensitive issues on a daily basis but if we stay serious all the time people will start avoiding us. As an HR leader ensuring that your HR team has fun through activities like team building events and community days is a great start; it will allow your team to get their minds away from the serious work of HR and build that team cohesiveness we’re all striving for. But let’s take it further and identify ways to have fun on a daily basis. Fun is a subjective and personal definition but I’m confident that each of us can figure out what constitutes fun for us. If you’re having trouble, go spend some time with a child and they’ll remind you. Fun can be a profound influencer. It builds relationship. It relieves stress. It motivates us to work harder and better. It gets our creative juices flowing. It makes us better at our jobs. Have fun and we’ll see you in 2015. Kathleen Jinkerson is the Director of HR & Talent Solutions with The Talent Company (www.thetalent.co), a human resources consulting firm that works closely with clients to develop, optimize and innovate their Recruitment and Talent practices. Kathleen possesses almost 10 years of experience in partnering with organizations to help them build their talent capacity as well as their HR and leadership teams. Kathleen is very active on both LinkedIn and Twitter. The smart organizations have been preparing for this change in the labour market over the past year investing appropriately in their talent management and acquisition functions and practices. They understand the HR challenges ahead for their organizations and have ensured their functions are positioned in the best direction. We work with organizations every day to help them prepare their recruitment practices to be effective (and more efficient) in meeting the demands of the changing labour markets. As an HR professional, what are you doing to prepare your organization for 2015?